Mahouts are perhaps the most misunderstood and overlooked part of the complex picture of Asian elephants in tourism. To meet a mahout, I took a visit to Mahout Elephant Foundation’s elephant tourism project in the Karen hill tribe village of Huay Pakkoot where captive elephants (and their mahouts) are freed from tourism camp work and instead roam in a forest habitat. In the village, which is surrounded by forest, I was granted a unique opportunity to interview Sinchai Jarernbanpot, a third-generation mahout, about his livelihood. Tell me about the elephants in your family. How many are there? Sinchai: Many! Among the extended family, we own 12 elephants. Each elephant needs its own mahout. Sometimes the owners don’t have time, so they hire mahouts. In our family, eight live near the village here, and four are still in camps. They’re not trekking camps, though. They’re more alternative “mahout training” camps where tourists learn mahout skills. It’s better than giving rides, but still, there’s no chance for the elephants to go out into the forest. They just eat cut grass. What does an elephant bring to the family? Sinchai: Well, that has changed over time. In the past, we had only two elephants, bought from a nearby village. Ownership was a way to show off, display power, and gain an income from logging. Then, logging became illegal and many owner mahouts moved to Burma where it was still allowed. Then, gradually, as elephant tourism became more popular, mahouts moved to trekking camps with their elephants. Today, around half the camps don’t allow tourists to ride. In the bigger camps around Chiang Mai, they will buy the elephants from mahouts. But in the Karen tribe we don’t just sell them off. We will only go to camps that will allow us to stay with the elephant. Today, owning elephants is not so much a sign of power. Instead, it’s a job that isn’t farming and doesn’t harm the forest like farming does. The forest and the elephants support each other. What does an elephant cost the family? Sinchai: If the owner can be the mahout, and if the elephant is free to forage in the forest for the food it needs, then it costs nothing. Otherwise, owners have to hire a mahout and send both to a camp. The salary needs to be enough for the mahout to live on, otherwise he will leave. To support an elephant and a mahout at a camp, the cost is around 10,000 baht ($285) per month. For example, I own my elephant Thom Kam, but I didn’t buy her. She was born into our family–we owned her mother too. Now, the foundation pays my salary so we don’t have to work at a camp, and Thom Kam gets all her food from the forest. Describe a typical day for a mahout. Sinchai: Here, with the foundation project, we look out for the elephant’s health, and we make sure they don’t get too close to the farms. We bring elephants to better areas to forage, and we observe their behaviour. If their ears and tails are wagging, then that’s a good sign. How does one become a mahout? At what age? Sinchai: It depends on the intention of the boy. My father Manit started at age 10. To be a mahout, you have to really love elephants, because you’re stuck with them the whole time! You have to go out, rain or shine, every day, and sometimes even at night to watch over them. I trained every weekend, starting at age 12. Then, at age 18 after completing school, I became a full-time mahout near Chiang Mai. Today, my dad is still a full-time mahout, but I split my time between this and studying in Chiang Mai, where my family lives. What is the best thing about being a mahout? Sinchai: I’d say it’s the relationship I form with the elephant. It’s like a lifelong friend or a good companion. Sometimes I even talk to Thom Kam. I tell her all sorts of things! Sinchai: It’s hard because we can’t spend much time with our families. My father Manit had to leave the family for a year to go work in logging in Burma with his elephant. Sometimes, though, mahouts quit the profession once they have families, since it’s so hard to do both. 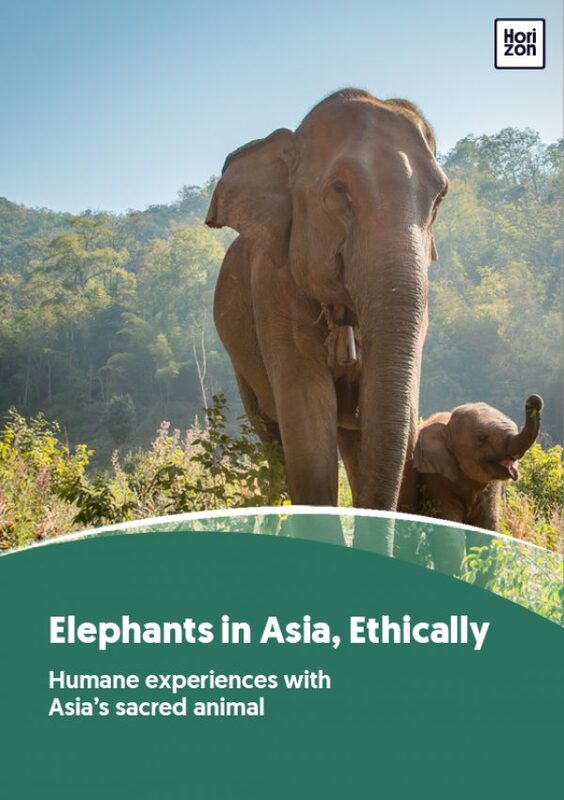 What do you think is the best life for mahouts and their captive elephants? Sinchai: The best thing would be to leave elephants in the forest for long periods of time. Like in the past, during logging, when elephants were free to forage and roam for certain months of the year. Mahouts have so many skills! What can tourists learn from you? Sinchai: We know how to track an elephant and identify each one by its footprints and dung. We know why they eat what they eat. For example, sometimes they eat special bark, roots, or even soil to help with stomach problems and get worms out of their system. In the camps, they have to eat soil more often. You can always see the worms come out the other end! As far as forest survival skills, we know how to catch frogs, fish, mice, and birds to roast. We just bring some rice and chili, and find the rest for ourselves. With forest cooking, we aren’t into details. Just catch, cook, mix with chili, and eat! Sinchai’s son is three years old and lives in the city of Chiang Mai. He and mother make the four-hour drive to visit the village often. Will his son become a mahout someday? Only time will tell, but chances are slim for this under-recognised and fast-changing livelihood.